Coach Larry Drew (right) says it is very, very gratifying to see Cedi Osman (16) and Collin Sexton (2) step up for the Cleveland Cavaliers. 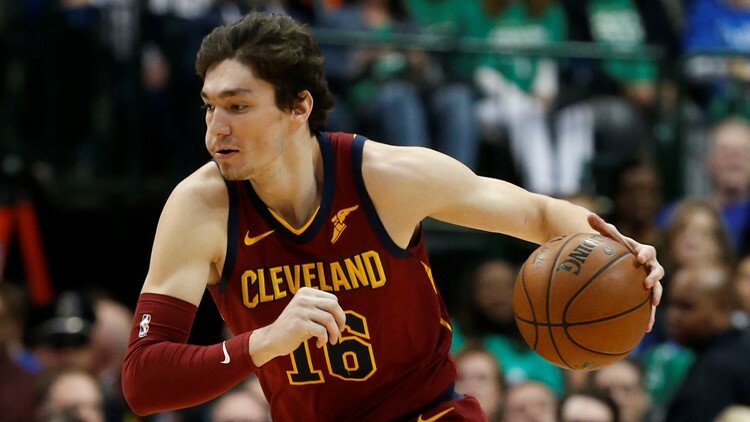 Coach Larry Drew says it is very, very gratifying to see Cedi Osman and Collin Sexton step up for the Cleveland Cavaliers. CLEVELAND — The Cleveland Cavaliers placed plenty of responsibility on the shoulders of their younger players after undergoing a roster overhaul during the offseason and losing veterans Kevin Love and J.R. Smith from the 2016 NBA Championship squad to injury and personal decisions. 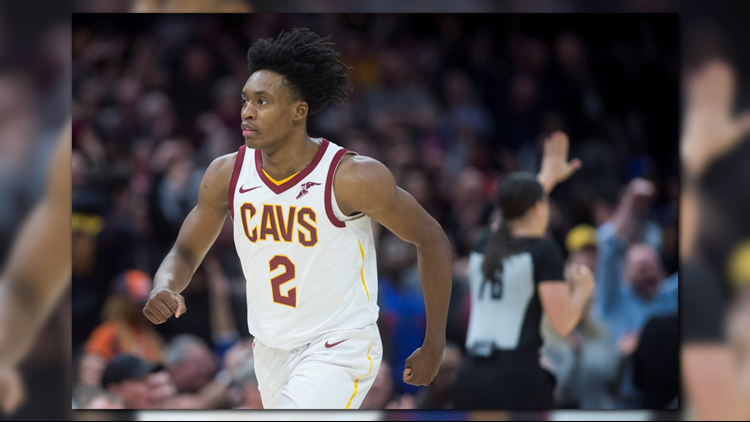 And at times during the season, the Cavaliers struggled to get consistent production from forward Cedi Osman and rookie point guard Collin Sexton, but as of late, the two have been integral parts of the offense, helping Cleveland to an upset win over the Detroit Pistons at Quicken Loans Arena in Cleveland Monday night, which is something that coach Larry Drew relishes. “Very, very gratifying,” Drew said after the win over the Pistons. “Very, very gratifying. Hoping that it would get to this point to put both of those guys to where they are closing out games. I’ve had them earlier in the season where they’ve been on the bench watching, learning. Drew looks for “growth in certain situations” when breaking down film of practices and games, and believes something is clicking mentally for Osman and Sexton. Already the Cavaliers’ record-holder for made three-pointers by a rookie, passing the mark set by multi-time All-Star guard Kyrie Irving, Sexton tied Austin Carr’s record with his sixth consecutive 23-point game when he tallied 27 in the 126-119 win over the Pistons. In the 13 games since the All-Star Game break last month, Sexton has increased his made field goals, shooting percentage, three-point percentage, steals and points per game while cutting down on fouls and maintaining an even level of 2.2 turnovers per outing. Cleveland Cavaliers forward Cedi Osman (16) pushes the ball up the court against the Dallas Mavericks during the second half of a game at American Airlines Center in Dallas on Saturday, March 16, 2019. Osman has raised his shooting percentage by 2.2 points, three-point shooting by 13.9 percent, total rebounds and assists while cutting down on personal fouls and turnovers in the late-February exhibition game. “Success is not always necessarily measured on wins and losses,” Drew said. “You have to look at your team. You have to look at situations. You have to look at circumstances. You have to look at the big picture, and for the organization, the big picture is the growth that we see in our young guys. Understanding that this was going to be a tough season because we’ve had a big turnaround.